Deciding how best to care for elderly relatives as they lose the ability to do this for themselves comprehensively can be a very troublesome and difficult contemplation. You will always be looking to do the best for your loved one, but it can sometimes be hard to tell what this is, whilst also factoring in what’s best for you, too. Something that could make this decision even more difficult is the fact that some people are not fully aware of the options available or don’t understand the advantages and disadvantages of each option. So what are some of the choices that you could consider? One option that may come straight to mind is the idea of moving your loved one into your home so that they can be closer to you all of the time. This may be great in the way that it allows you to monitor them and ensure that they receive all the necessary care that they need, but there are also some downsides to this decision. Although your priority will obviously be your aging relative, you need to consider the impact that moving them into your own home will have on your life. Not only will this mean that you will have to take time off from work and limit your own social life, you may also become a little bit frustrated and even resentful towards them; no matter how much you love them overall. Another way to deal with the fact that they can no longer look after themselves without a little bit of aid, is to fit some helpful and reliable gadgets to their home which will mean they can keep some of their independent and still live in familiar surroundings. This could include anything from cameras to help them see who is at the door before they answer it, to gadgets that help them to put their clothes on and alarms that sound if they take a nasty fall. The one downside to this is that they could end up becoming a prisoner in their own home. The fact that they no longer need to leave could lead to them becoming more withdrawn and losing their zest for life. You also have to factor in that you would need to still make regular visits to their home to check in on them. Warden monitored or sheltered accommodation could offer a solution that is best for everyone involved. Your loved one can create their own private environment inside a home that is monitored by carers around the clock. This means that they can still keep a large amount of their independence, but help is always on hand if they need it. They will enjoy it as they will be able to interact with people of their own age and with similar interests, whilst receiving three cooked meals a day and regularly staged entertainment. And you will love it because you will be able to visit them whenever you like but it won’t have a negative impact on your own life. Whilst it can be hard to decide to put your elderly relative in sheltered accommodation, the transition will be a smooth one and you will soon realise that there is no better solution for both parties. Chris Mayhew has recent had to help his grandmother move into her sheltered accommodation. He would recommend Abbeyfield in Bristol to anyone looking for the perfect care option for their elderly relatives. 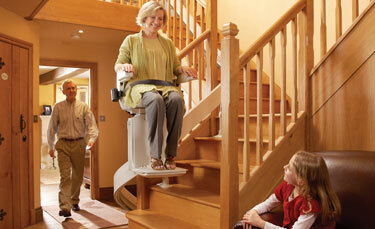 This entry was posted in Health, Stairlifts and tagged best, elderly, for, homecare, how, options, relatives. Bookmark the permalink.